Recipes or categories can be associated with a language for multi language cookbooks. THE YooRecipe original feature. Adapt the quantity of ingredients according to the number of people. How Convenient! Make your website more interactive using videos! Help your users plan their meals for the week thanks to our nice drag and drop meal planner! Customize your content using internal module positions and display ads, banners or any content. Display Recipes in your Joomla articles using YooRecipe Plugin. 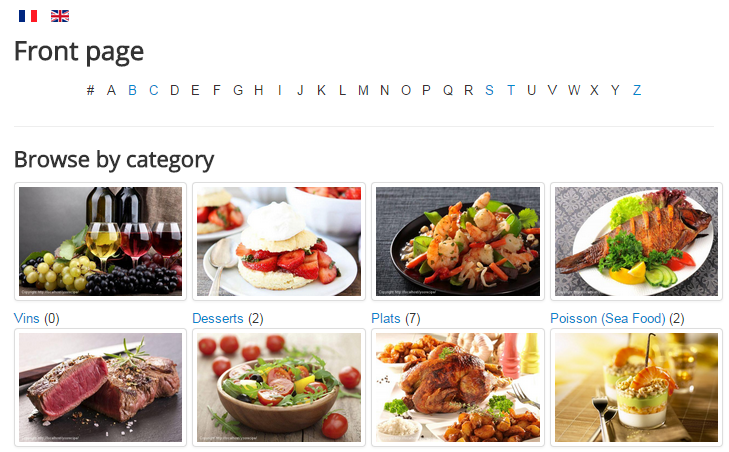 Extend Joomla native search to include your recipes. Joomla Smart Search is also supported. Enhance users experience and get user-added content thanks to Komento! Spoil your community thanks to Disqus! Based on Joomla Permissions. 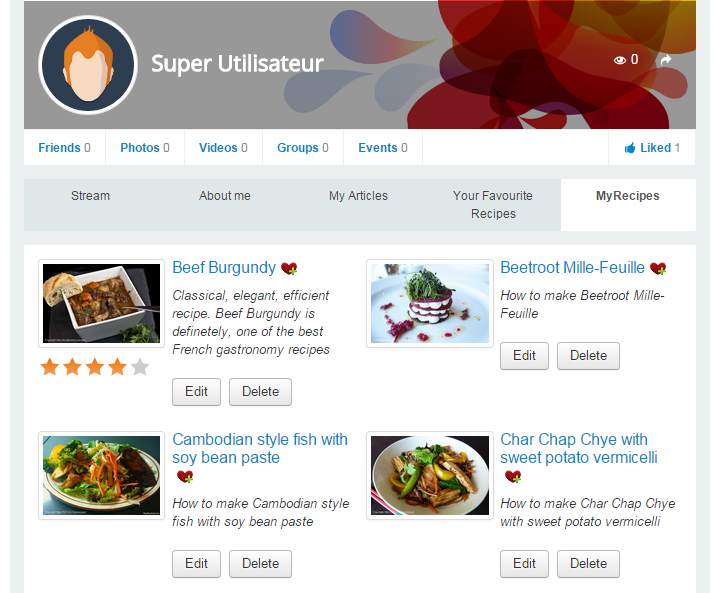 Who can create, edit, delete, manage recipes and comments?